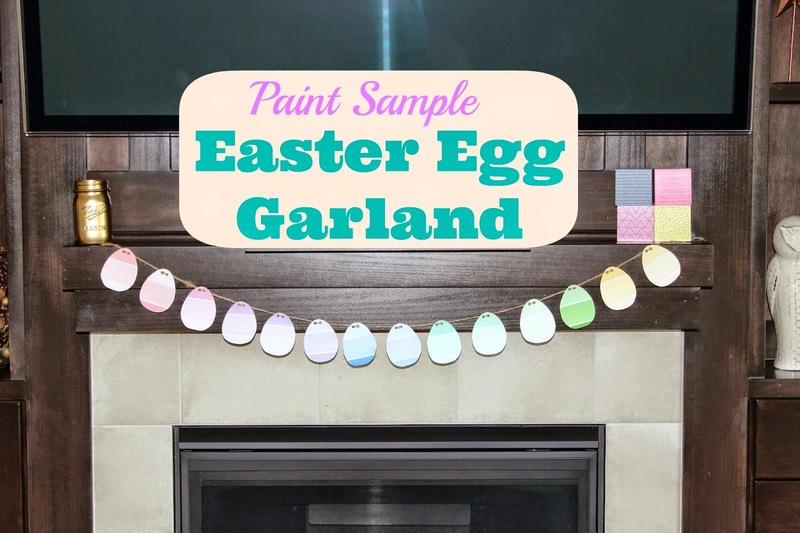 I have a quick and easy Easter craft that you can whip up in about 30 minutes. Plenty of time to still make it and get it displayed this season! I've had this project pinned to my Spring Pinterest board for awhile now and when browsing some pins I noticed it again. Perfect timing! All it takes are a few supplies and you're set. 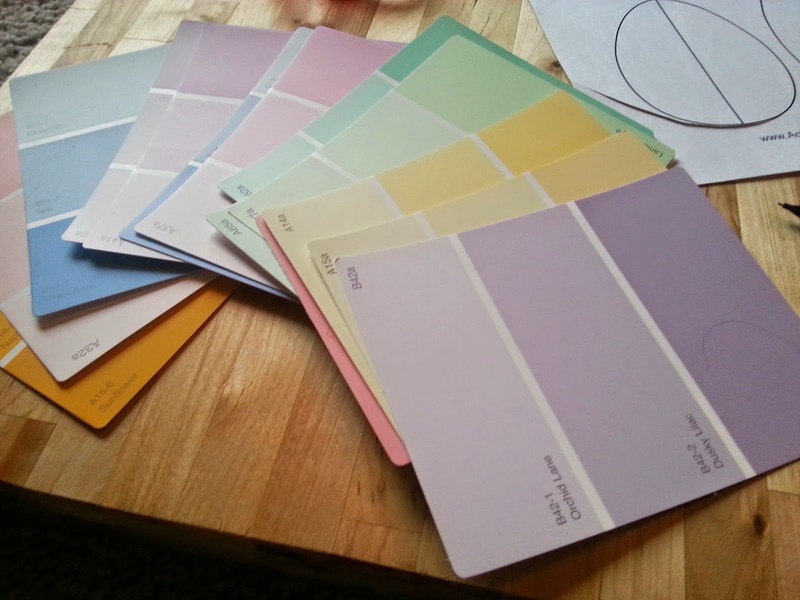 Pick out some multi-color paint samples from your local home improvement store and head to Google to find an Easter egg template. I used this one. Also needed, are a pen or pencil, scissors, hole punch and something to string all the eggs together. I used jute twine for this part. 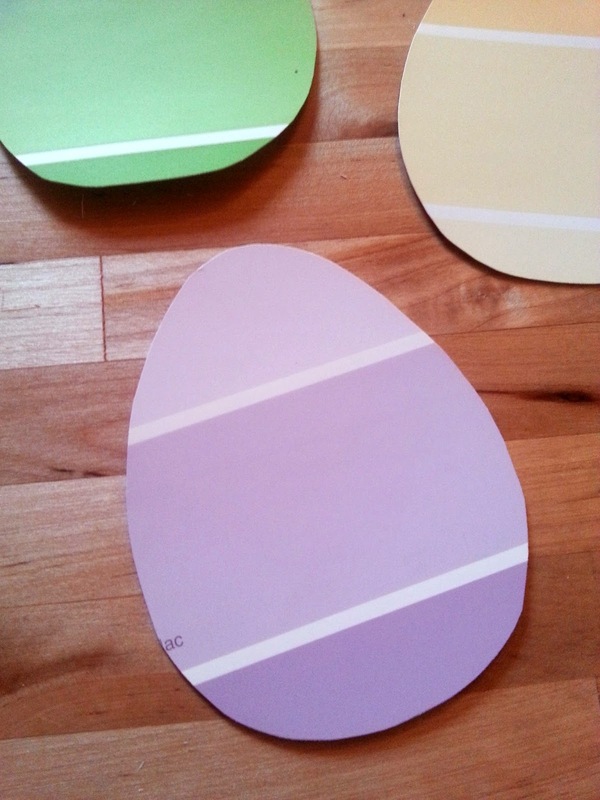 Use the egg template to stencil the pattern onto all the paint samples. 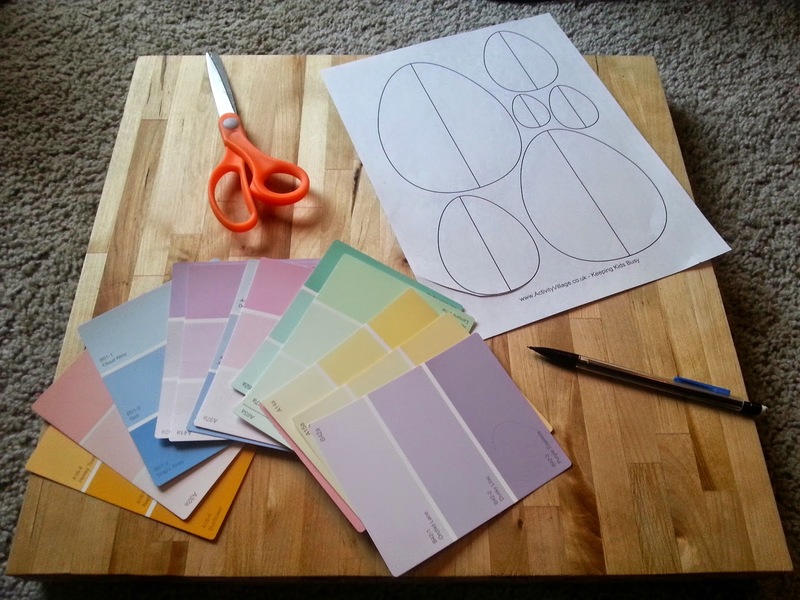 Use the back of the sample so there are no pencil marks on the colored side. Also, pay special attention to make sure you choose the side of the sample with no words to stencil on. Next, cut out of the eggs using your scissors. After all of your eggs are cut, use the hole punch to make the holes near the top to string them all together. Don't put them too close to the top or close together to keep an even, sturdy pattern when it hangs. Next, string the eggs onto the twine making sure they are evenly spaced. About 30 minutes later you have yourself a new spring mantle decoration! I chose to string the eggs by in order of similar color, but you could mix all the colors up, follow the colors of the rainbow, light to dark... how ever you would like! Original source of project. Unfortunately, I can't find the exact post, just the blog it originated from.